On any given day in America, over 80,000 people are held in solitary confinement--held in utter isolation for twenty-three or twenty-four hours a day, moved there from the general population without any legal process or justification. 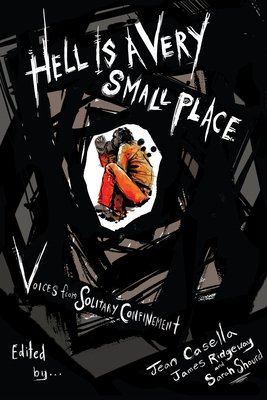 In a "potent cry of anguish from men and women buried way down in the hole" (Kirkus Reviews), Hell Is a Very Small Place offers rare accounts from the people who are now or have been in solitary confinement. As Chelsea Manning wrote from her own solitary confinement cell, "The personal accounts by prisoners are some of the most disturbing that I have ever read." Jean Casella is a co-director of Solitary Watch, a web-based watchdog project, and a Soros Justice Fellow. She is the editor of two previous anthologies and lives in Brooklyn, New York. James Ridgeway has been an investigative journalist for more than fifty years and is the author of seventeen previous books. He is a co-director of Solitary Watch and a Soros Justice Fellow. He lives in Washington, D.C. Sarah Shourd, a journalist and playwright, was held as a political hostage by the Iranian government, including 410 days in solitary, an experience she chronicled in A Sliver of Light: Three Americans Imprisoned in Iran. She lives in Oakland, California.